It's Friday. Woot! Who likes baseball? I'm not a baseball super-fan or anything and Dayton doesn't have a major league team...but we do have the Dayton Dragons, a Class A minor league team. Their games are so fun. In fact, they hold the record for the most consecutive sellout games in all of professional sports...any sport. Crazy, right? 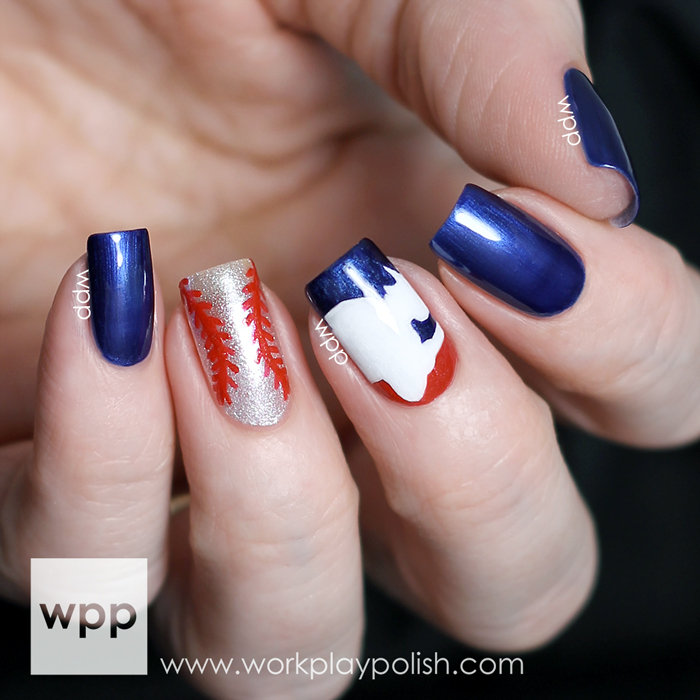 So today I have a simple baseball design using polishes from OPI's recent collaboration with Major League Baseball (MLB), the Fashion Plate Collection. This collection includes three different reds and two blues (in addition to the white and a bright orange called Orange You Going to the Game). It's strange to have so many blues and reds in the same collection...but they're slightly different, so I suppose it's a matter of preference. All seven polishes (I wore Short Stop, the red cream, for three days last week) have the trademark excellent OPI formula. 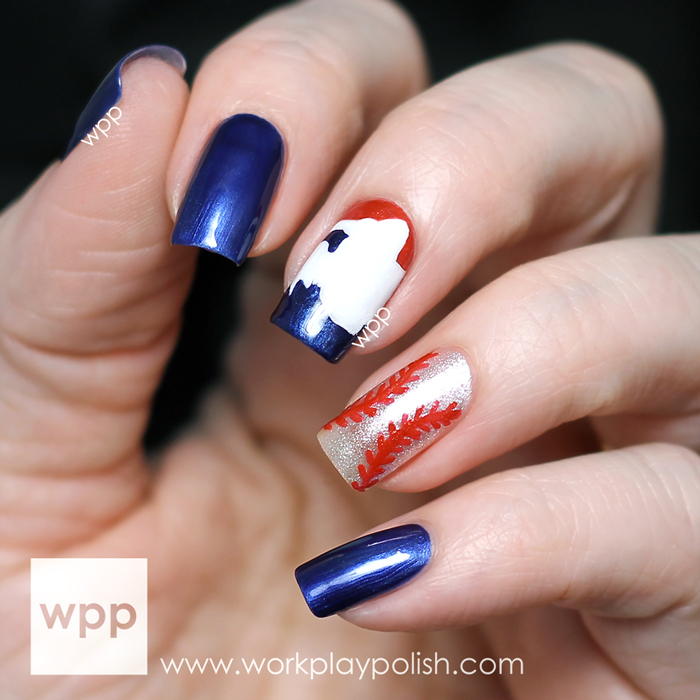 The OPI Limited Edition MLB Fashion Plate Collection is available now at Professional Salons, including Beauty Brands, Beauty First, Chatters, Dillard’s, jcp Salons, Pure Beauty, Regis, Trade Secret, ULTA and ulta.com for $9.00 ($10.95 CAN) suggested retail. Visit www.opi.com and follow OPI on Facebook, Twitter and Instagram for news and promotions.